It's always time for tea with this colourful eco tea set. Little children will love to serve up tea using this green, orange and yellow set which contains a teapot, milk jug, sugar caddy, two cups and saucers, two spoons, two tea bags and two sugar cubes. 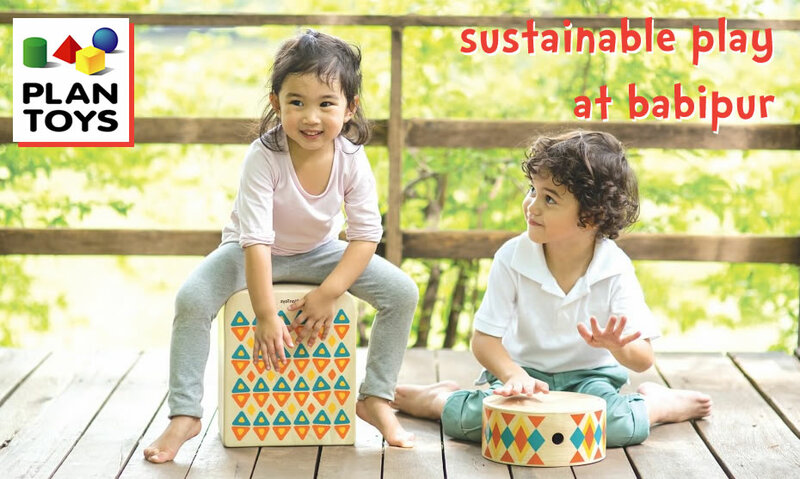 Made from a combination of sustainable natural rubberwood and Planwood - the super eco product from rubberwood sawdust - it looks fantastic, is built to last and really green too. 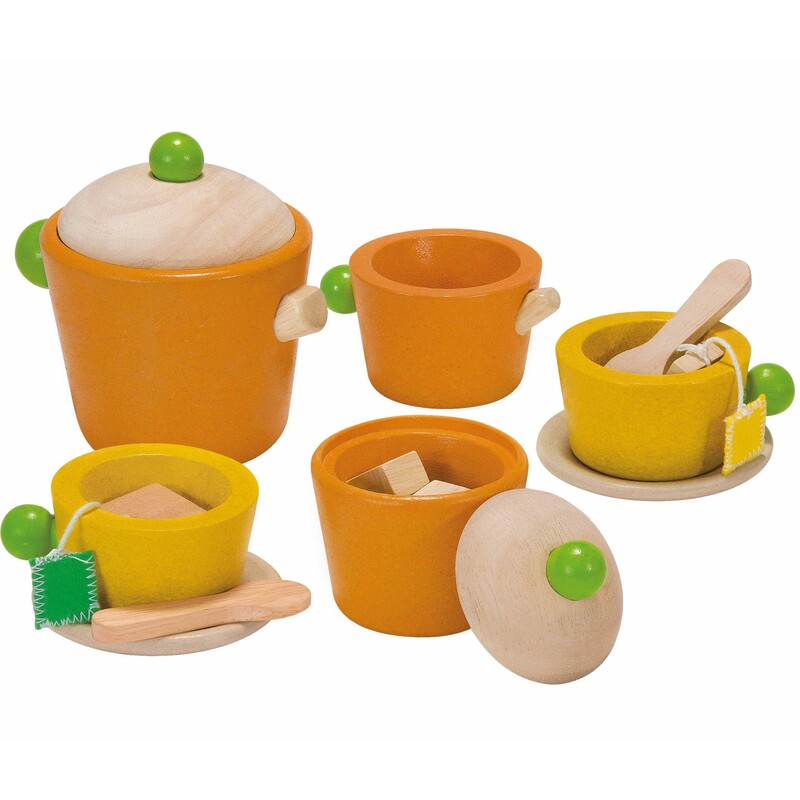 This tea set is the perfect accessory to any play kitchen or wooden cake set and children will love playing creatively with it.